Winter fishing can be excellent depending on the weather and the cold. If it is very cold there will be a lot of ice and ice floes making the fishing more difficult. 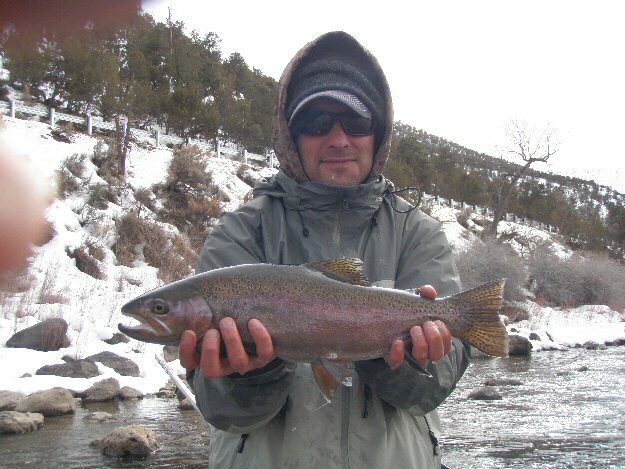 But on warmer winter days there is great fishing on the Colorado wading into the bigger riffles and runouts. As the weather warms there will be good midge and BWO hatches from early February on in the wider sections where the sun can warm the river a little. Jake on the Colorado in Winter.